Ideal Solutions - Which Accounting Software is best for me? 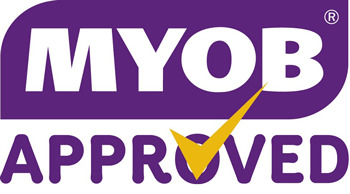 As a MYOB approved Partner we can assist you with almost any aspect of using MYOB software, helping you maximize the benefits of your investment. We have been tested and certified by MYOB, and must meet ongoing requirements to ensure we are fully qualified to assist you with MYOB software solutions. MYOB Essentials is easy online accounting software that has everything you need to take care of business, including payroll. MYOB Essentials is the fast and easy way to manage your cash flow and IRD compliance requirements. Includes time saving features like Bank Feeds to help take care of the day-to-day bookwork. Enjoy the freedom of working with New Zealand’s favourite accounting software anywhere, anytime. AccountRight Live is a next generation cloud accounting service that gives you the choice of doing your accounts on your desktop, in the cloud or both. It’s the first service of its kind in New Zealand and it will change the way you manage your business. Make your accounts available from any internet connected PC, anywhere anytime. One set of accounts, same time access for your team, bookkeeper and accountant. Access your accounts exclusively in the cloud or make a local backup to your PC whenever you like. Bring your bank transactions into your accounts and automatically match them to your data. Your subscription includes access to all the latest software and payroll updates upon release. You’ll always have access to MYOB software experts to answer your queries on the phone and online. Powerful payroll software to suit a range of Kiwi businesses. A solution that you can shape to your business' needs as you continue to grow. We support 10,000+ businesses of all types that have up to 5,000 staff. After 30-years, IMS Payroll, understands NZ companies' payroll needs. Our customers benefit from our years of experience. Manage staff payments the low cost, easy way. Manage staff payments more efficiently: email payslips, send deductions, pay wages electronically, monitor staff turnover and lodge returns. Tasks will be faster, easier and with more automation. Ace will alleviate tax-time pain, as it helps you with IRD returns, KiwiSaver and PAYE deductions. Ditch reliance memory or manual tables. once a code is selected, the process is automated. Small business accounting software that’s beautifully simple. Explore features like invoicing, payroll, reporting and more. Xero small business accounting software has all you need to manage your numbers effortlessly. Choose the right Xero plan for your business then add extra tools as and when you need them.